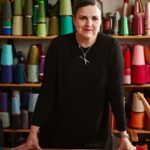 In 2015 Kate was invited to exhibit at The Knitting and Stitching Show at Alexander Palace and later at The Knitting and Stitching Show RDS Dublin. 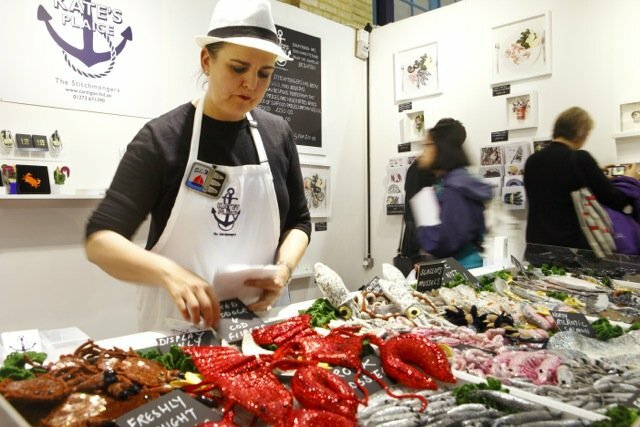 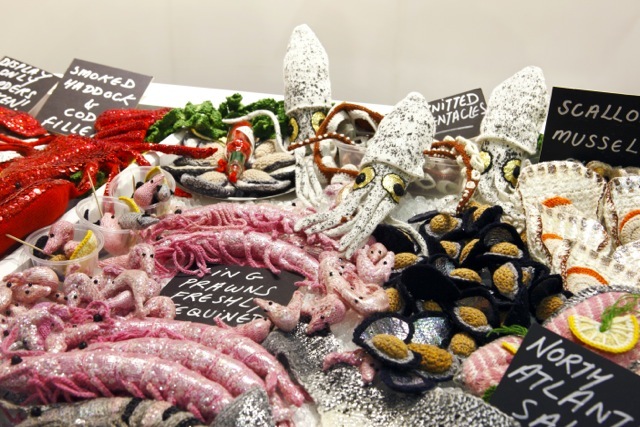 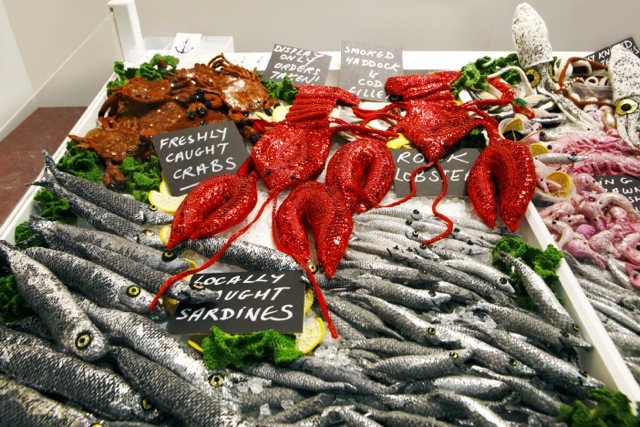 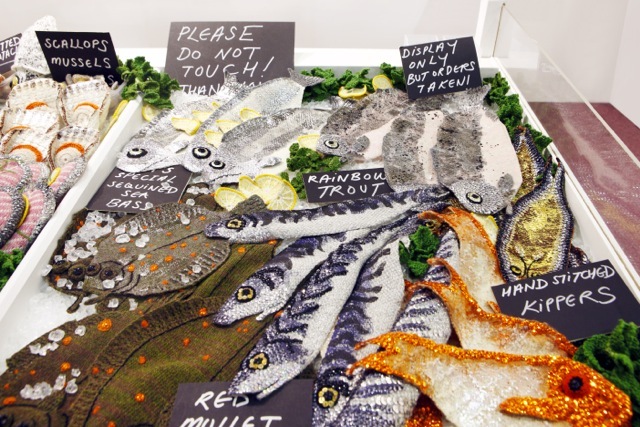 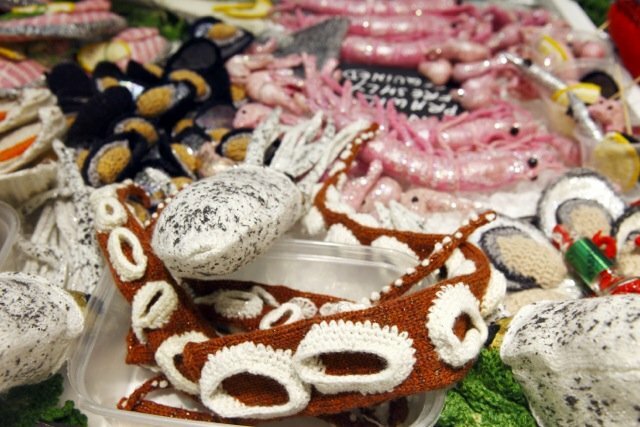 An entire fish counter was created out of knit and crochet with a few thousand sequins. 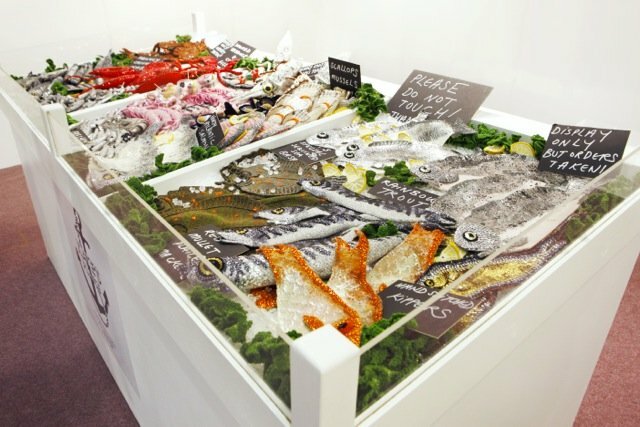 This is Kate’s largest installation to date and was short-listed from thousands of entries for the 2016 AOI World Illustration Awards.